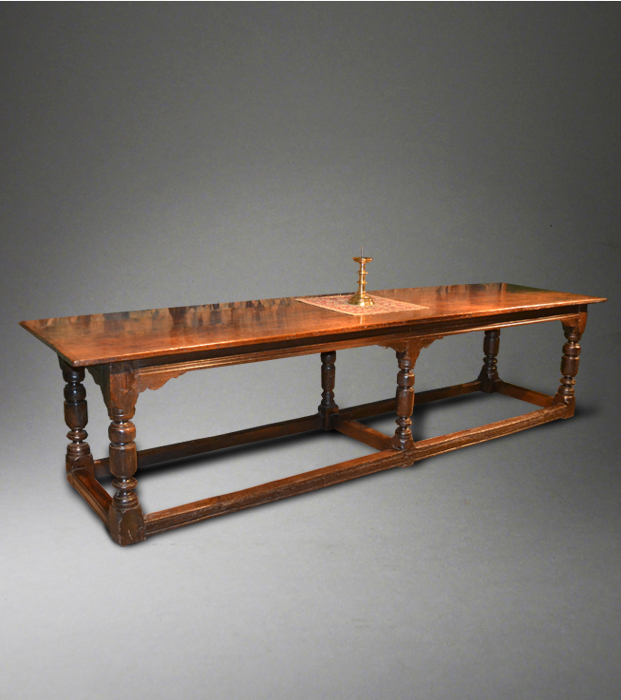 Suffolk House Antiques | Two fine 17th century tables. 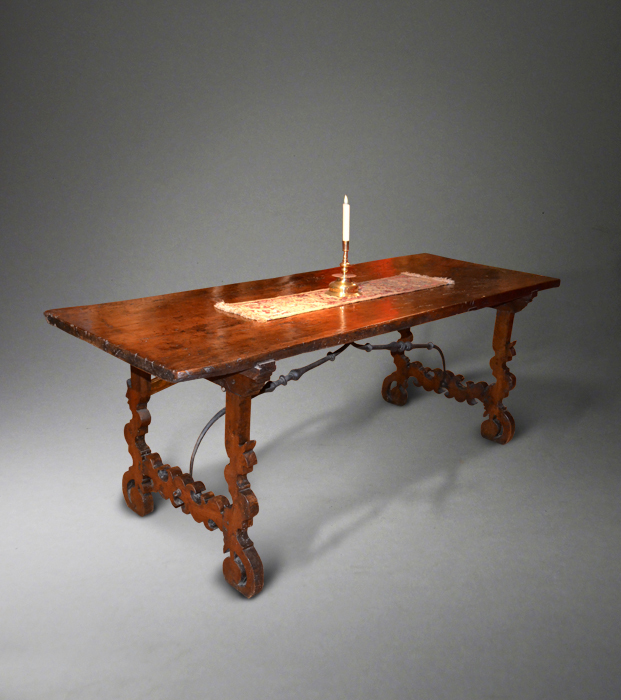 TWO FINE 17TH CENTURY TABLES. Two contrasting 17th century tables - one an English Commonwealth Period six legged refectory table in oak (this has now been acquired by English Heritage and will shortly be on display at the recently refurbished Bolsover Castle in Derbyshire) and the other of a similar period but Spanish and in walnut. Both have excellent colour and patination and are attractively priced. For full details see under "Tables".